Set up and use Vend's Display App for a Customer Facing Display – How can we help? Update: We have made enhancements to how the Vend POS App and Vend Display App work together. Our minimum version requirements in order to continue selling with both programs are the Vend POS App (Version 3.0.6) AND Vend Display App (Version 1.4). You can do this by going to the App Store > Updates then clicking UPDATE next to both apps. 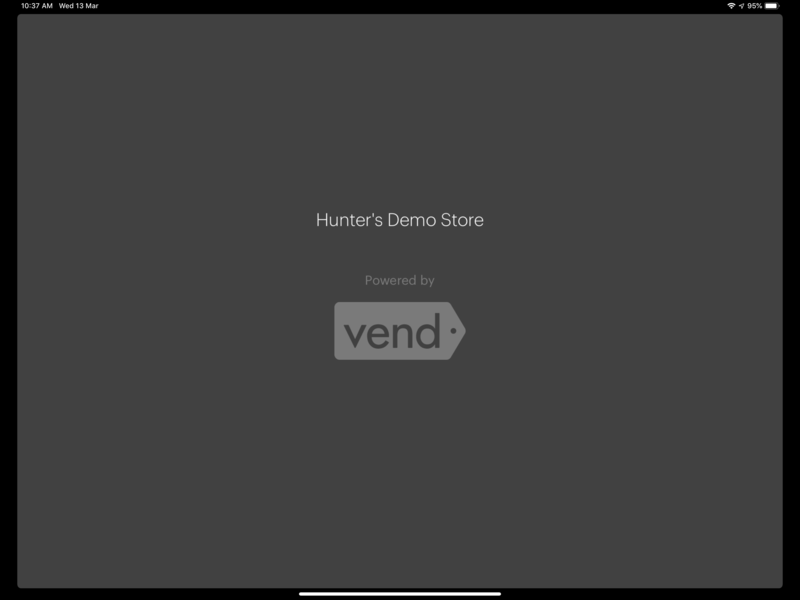 Vend's Display App is the perfect companion for your Vend POS app, offering you a customer facing display using a secondary iPad or iPad Mini. The Display App also allows a customer to enter their email address for email receipts or customer loyalty. Nope! The Display App is free for all Vend account holders. Can I use it with the old Vend POS app or with Vend in my web browser? You'll need to be using the Vend POS app on your iPad to use the Display App. The Display App is an optional part of the Vend POS app, but in some jurisdictions, retailers are legally required to have a customer facing display so that their customers can see sale information. Check what your local laws are! What hardware and software can I run Display on? The Display App (Version 1.4). These Apps are available on the App Store. Can I pair the Display App with more than one iPad running the Vend POS app? Each display can only be linked with one iPad running the Vend POS app. However, you can have multiple displays for each register in store - so you could have one either side of your counter if you wanted. As you ring up your customer's sale, each item you add to the sale on your Vend POS App will appear on the Display App on the right-hand side of the screen for your customer to see. They won't see any line item or sale notes. As the customer makes payments, the balance amount displayed in the Checkout section will decrease, and once the sale is completed, the customer will see a confirmation screen. This will also display any loyalty amount earned if your store has a loyalty program and the customer hasn't opted out. The left-hand side of the screen displays customer information. You can add your customer to the sale using the Vend POS App, which will then display their customer information on the Display App. If you don't have their email address, the customer can enter their email address if they'd like to have their receipt emailed. They can also choose to Opt-In to Marketing and Promotional Emails. To do this, your customer can tap the toggle. Note: By tapping the Opt-In toggle, the customer agrees to have their email address saved and to receive emails from your store. Tap the Email receipt button to finish. To use the Display App, you will need two iPads; one for the Vend POS app, and one for the Display App. To learn how to set up your Vend POS App, click here. 1. Download the Display App from the iOS app store on one of your iPads. 2. On the other iPad, log into your Vend account on your Vend POS App. 3. Open the sidebar menu on your Vend POS App, and select Settings. 5. Under Vend Display tap the toggle next to Enable Vend Display to turn the display on. Important: In order to pair your Display App to your Vend POS app, you will have to make sure to you are on, at minimum, Version 1.4 of the Display App and Version 3.0.6 of the the Vend POS App. 6. A display window will show with your Pair with Vend Display access code. 7. Back on your iPad with the Display App, type the pairing access code and tap Pair. Final: Once paired, your Display App is now set up ready to use. My Display App has gone grey and is only showing my store name! Help! 1. This happens when you have closed your Vend POS App. Generally, when you reopen your Vend POS app it will get re-paired automatically. If you find you are waiting for some time and your Display App has not automatically re-paired, you will need to head into your iPad Settings -> Display and toggle the Reset Pairing with Vend Register to on. This will then guide you to reset the pairing between your Vend POS App and Display App. 2. You will be asked to enter the four-digit pairing access code to pair with your Vend POS App. Note: This code will differ from the pairing access code you initially added when you set the pairing up. 3. On your Vend POS App, open the sidebar menu and select Settings -> Hardware -> Vend Display, and tap the toggle to disable the Display App and then re-enable it. 4. Your pairing access code will display. Enter this into your Display App. This should reconnect your Display App with your Vend POS App. I am unable to pair my Display App with my Vend POS! Help! 1. Check that the access code is correct. To do this, head back to your Vend POS app and check that the access code is the same as what you have entered. If you don't know what the access code is, follow steps 5 and 6 in the section above. 2. Check that you have updated your Vend POS app to Version 3.0.6 or higher. You will not be able to pair your Vend POS App with your Display App if your Vend POS App is not updated.